There's so much to do and see on the Mornington Peninsula that you might just have to book somewhere to stay the night. There's so much to do and see on the Mornington Peninsula that you might just have to book somewhere to stay the night. Here's a selection of some of our favourite local options. Find your way to the Lakeside Villas at Crittenden Estate to unwind, celebrate, love, relax, explore… wherever your journey takes you. Each of the three Villas comprise a king size bed, full kitchen, wood fireplace, spa bath and BBQ on the private deck. Located at the southern edge of the Mornington Peninsula, the new RACV Cape Schanck Resort is unlike anything you’ve ever seen. Take some time out at and experience the refreshing effect of a place truly shaped by nature. You’ll be different after your days at the Cape. Blending beautifully with the coastal landscape, Quarters at Flinders Hotel is inspired by Flinders. From the carefully selected artworks, to the gourmet breakfast offered daily as part of your room rate or mini bars stocked with local produce. Classic beachside accommodation and luxury holiday homes located on the Southern tip of the Mornington Peninsula. Locations include: Mt Martha, Arthurs Seat (where the Eagle is! ), Rye, Blairgowrie and Sorrento. Check out their awesome Marshmallow Madness package which includes a return trip on the Eagle! Light and airy, each of the stylish spaces are well appointed with generous living areas, fully equipped kitchens and a private balcony with sea and garden views. Choose from a one, two or three bedroom apartment, all with luxury king size beds, wi-fi and Foxtel. Check out their awesome Eagle for four package by clicking below. Located less than 20 minutes from the Arthurs Seat Eagle. You can experience iconic surf beaches and modern Victorian country charm side by side here. Enjoy the landscaped gardens and rolling green hills views outside your deluxe room or suite. This luxury accommodation boasts four separate, luxurious and private suites. Located just a short stroll from the Eagle, this B&B is situated within the Arthurs Seat Forest. Frequent visitors include kangaroos and echidnas. Native birdlife such as owls and nightjars can also be seen. The panoramic views of Port Phillip Bay are “impressive by day, stunning by night”. Often rated amongst the best B&B's on the Mornington Peninsula, George's B&B and Culinary Retreat is an architecturally designed purpose built modern facility. Perfectly located just 80 metres from The Eagle, you will marvel at the beautiful views over Port Phillip Bay. Harmony Bed & Breakfast is a traditional B&B set within five acres of rural gardens. Harmony is the perfect choice for those wishing to escape to the country and enjoy the bayside and ocean beaches, golf courses, wineries and shopping of the magnificent Mornington Peninsula. Only a short drive from the Eagle and near to Peninsula Hot Springs. Be it peace and tranquillity, action and adventure or tasting delights you are seeking, look no further than Fairways Resort for your next Peninsula escape. Located in Rosebud, Fairways Resort is your perfect base for exploring the region. Plus its location provides easy access via the freeway to the Arthurs Seat exit - direct to The Eagle! Kangerong Holiday Park is perfectly located opposite the beach at Dromana within a short stroll of cafes, restaurants and the local shopping centre. Plus, it’s only 5 minutes from the Eagle! Being centrally located, most of the Mornington Peninsula's attractions are within a 30 minute drive. With spectacular views across Port Phillip Bay, the Portsea Hotel is the ideal venue for a meal, a peaceful stay, private functions and weddings. Recent renovations have blended historic charm with modern style. Portsea Hotel offers comfortable country style seaside accommodation all year round, with tariffs to suit all budgets. Perfectly located within walking distance to one of Port Phillip Bays finest beaches and Dromana cafes, restaurants and bars. It's central location makes it the perfect accommodation base to explore the myriad of wineries, golf courses, national parks and art galleries the region has to offer. Boutique accommodation in the heart of Blairgowrie, opposite the beach and marina, a minute's walk to cafes and restaurants and a short drive to Searoad Ferries. A great option if travelling ‘round the bay’. 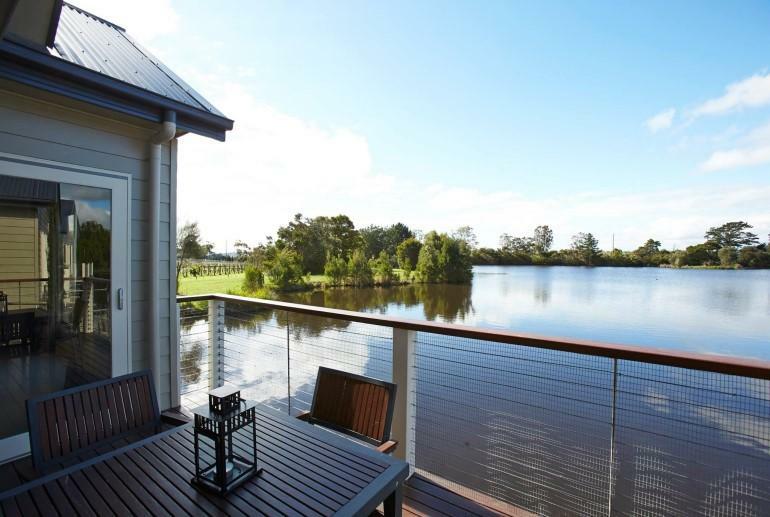 The Boathouse Resort is the perfect choice for a romantic getaway, family holiday, business trip or special occasion.